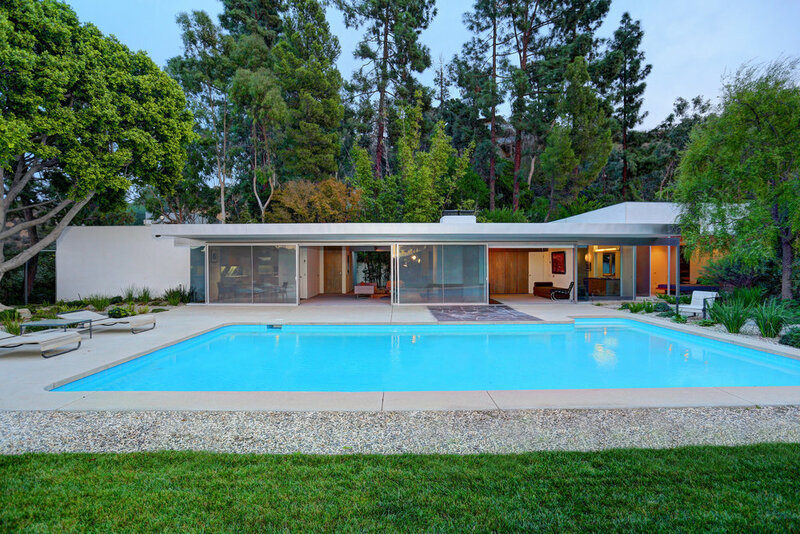 With the greatest simplicity, the Loring house offers the ultimate 1950's LA lifestyle. One of Richard Neutra's finest examples of Mid Century boxcar design with oversized retractable glass doors, broad roof overhang and sleek spider leg column facade. 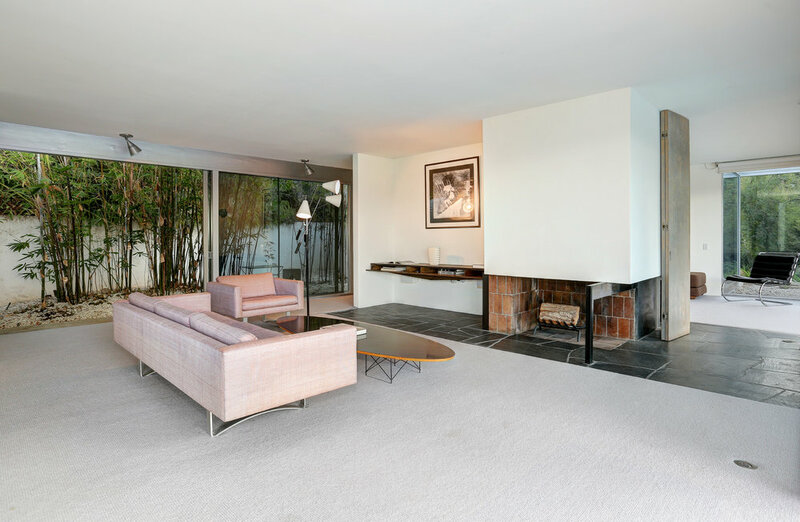 Located up a long private gated drive and perched atop knoll overlooking the sylvan canyons of the Hollywood Hills, this home is the epitome of the much sought after indoor outdoor experience which Neutra helped create. A master suite and bath addition, the Baskerville Addition by Escher GuneWardena artfully occupies the location that Neutra had proposed for a future bedroom in the archival plans of the original home. There are an additional two bedrooms and one and one-half baths. The large bright living room opens onto a private bamboo garden as well as the pool, a grassy yard and views. A bold fireplace with a classic Neutra design outrigger support beam provides a sculptural focal point to the room. Magnificent outdoors with gorgeous pool, grassy yard and professionally landscaped gardens. In addition, the property features a two bedroom guest house, Kalfus Guest House with a two-story art studio designed by Steven Ehrlich, FAIA. A rare opportunity to own an architectural treasure.